The complete set of the official English edition of the Liturgy of the Hours (Divine Office) from Catholic Book Publishing contains all four volumes of the translation approved by the International Committee on English in the Liturgy. Includes the current St. Joseph Guide for the Liturgy of the Hours (Product Code: 400/G) and Inserts for the Liturgy of the Hours (Product Code 400/I). Additional copies of the current St. Joseph Guide for the Liturgy of the Hours (Product Code: 400/G) are available for $2.50 each. 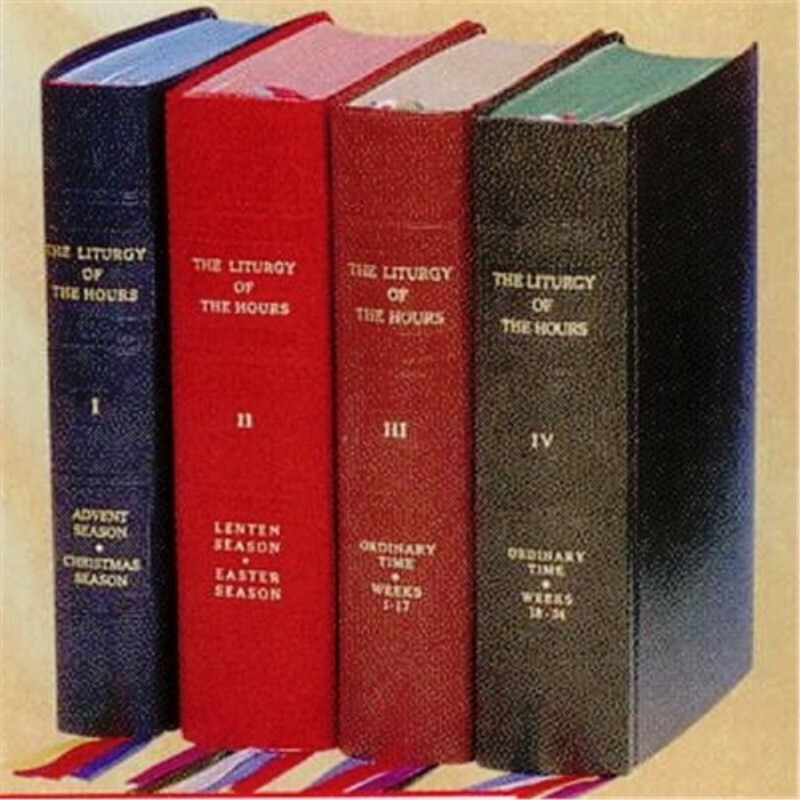 Printed in two colors and bound in flexible simulated leather, the complete four-volume set of The Liturgy of the Hours from Catholic Book Publishing includes handy ribbon markers and features a gold-stamped spine and elegant stained page edging to match the cover.